Searching all over the internet and bouncing back and for, I may have a set-up I am looking to do in my new build that I cannot find an answer to. I am building a 3200 sqft slab on grade with in floor radiant heat and 2x6 R19 walls and in Iowa. I will have a mother in laws area in 1200 of that 3200, on the main. The 1/2" radiant tubing is in place in the slab on 12" spacing with R10 under the slab and 4' of R15 vertically along the stem wall. Above 2000 sqft of the main level, will be an 1100 2nd story with 3 bedrooms and 2 baths. I will add a 4k btu Buderus style radiator to each bedroom and a 2k btu radiator to each bathroom for heating. Although, I will have an electric furnace for backup/supplemental heat for the entire house, should anything go wrong. My HVAC guy that is installing the furnace and AC units says my heat load will be around 88k btu. I am trying to figure out the best size of modulating condensing boiler to accommodate the in floor radiant heat, supply the additional radiators upstairs and support and indirect water heater (60 gallons or so??) for the DHW? I am thinking the average water temperature will be around 150-160 degrees to keep it from short cycling and in condensing mode as much as possible. I know oversizing a boiler can be bad and am looking at the HTP UFT100 as it may satisfy the radiant as well as the indirect WH with above average daily hot water demands, as the house should be somewhat energy efficient but has 2 kitchens, several showers and laundry daily? Have a professional completely design the system and spec everything out. You'll have blueprints. Otherwise, big problems. Since you already have heat emitters in place. Who did the load calc, and design water temps? You will have a two temperature system, maybe more depending on floor coverings, and loads in zones. Unless you have over sized your upstairs emitters they will be a higher supply temp than your radiant. IF 88 k is an actual performed heat loss calculation then an 80k 10:1 mod/con would cover the load, and have a good low end, and enough output for good recovery on the indirect. Since you have backup forced air I would cheat a little on the boiler size so long as it gives good recovery on the indirect. Do you know how many zones? The loads of the zones? Gordy, my HVAC guy that is installing the traditional system had his supplier for radiant systems look over the blueprints and come up with the load calculation. Design water temps are based off of what I found most seem to use to keep the boiler in condensing mode as much as possible, but am open to suggestions. 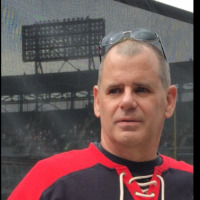 Not many want to "design" the system when you are not purchasing the equipment from them. I like DIY and not afraid to buy and research various equipment. For the slab radiant, I have 12 runs of 1/2" of about 270', so 12 zones. 4 of those will be on a separate manifold, pump and thermostat for the in-laws, with the remaining for the main house, pump and thermostat. The radiant panels will be in a separate manifold and pump, as well, and be thermostatically controlled at each unit. 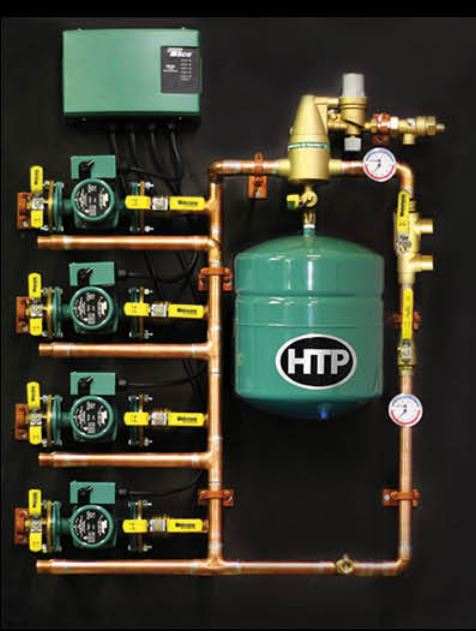 The HTP mod-con boiler has separate connections that can branch out separately from the radiant system and supply the indirect for DHW. So, with that said, would the 80k mod-con with the 10:1 mod-con be sufficient for this set-up, or go to 100k in hopes of not being oversized? Main slab will be polished concrete with no floor coverings on the slab. Upstairs will be carpet but wall hung radiant panels. Indirect, I figured would be 150 degree heated water with a 120 mixing valve. Someone needs to do a heatloss and size this for you. That being said, You should be in the 80k/10-1 boiler size range. You may or may not need a 2 temp system. The panel radiators can be oversized to run at the lower temps you are using for your slab, within reason. I like Runtal radiators and towel bars way better that the Buderus/Dianorm ones. They mount much tighter to the wall and don't look like an ugly piece of furniture. 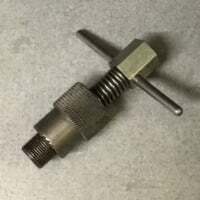 Thermostatic radiator valves are much simpler than wiring zone valve to each radiator. Thanks, I will try to get a heat loss done that is accurate. But, I think I am on the right path for equipment with everyone's insight. Looking to go with the UFT80k by HTP with 10:1 turndown and pair it with a 60 gallon or so indirect. Any suggestions on a preferred brand? I hear HTP's do not have a drain valve. As for the radiators, I was planning on over sizing them slightly to run at a lower supply temp. Is there a ideal temp one would suggest for the in floor as well as the radiant panels and possibly work for the indirect and dhw? Or, keep the dhw supply higher, mixing valve and give priority on the boiler to that? Concrete slabs usually run between 110-130 on design day. Runtal has a deration chart for different supply temps. I have had good success running Runtals in a single temp system as low as 125. Low temp systems are great. They do require accurate math. Don't SWAG it or use someones "rule of thumb" and expect it to work well. just remember on the indirect you will not get the 1st hour rating with the 80k boiler. However unless you have car wash shower heads, or Roman tubs to fill should be fine. A typical 40 gallon conventional gas WH has about 36k input. You can extend capacity with higher tank temps, and mixing down. I think I am on the right track with the help of everyone's input. Here is another question, perhaps as Zman eluded to. Would I be better off running the floor heat at 120 plus or minus and oversize the radiant panels and keep it all the same temp, then pump out the other side of the HTP boiler at higher temp for the indirect? Or, have a 2 zone pump system out one side of the boiler and use it on my 2 zone floor heat at lower temps and then the other side of the boiler have another 2 zone system with one supplying the indirect and smaller panels at a higher temp? Not sure if that is over-complicating things, more costly, feasible or even efficient. Similar to this set up but a 2 zone on each side? In the design phase you would try to size emitters to use same water temps. Not always possible, or cost effective. Some times something as simple as different floor finishes can change all that with radiant. Those are nice. You can spec what you want. 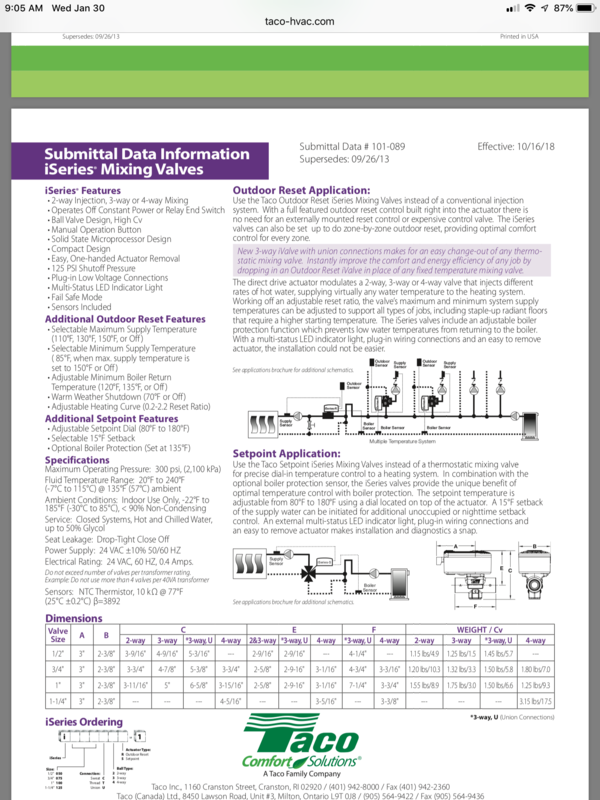 So have you figured your sizing for rads yet? If you can’t match the radiant temps then some mixing would be necessary for the radiant emitters. The radiant floor will all be polished concrete with no floor coverings, so hopefully all consistent with the heat and lower water temp running through it. I have not quite nailed down the rad panel sizes yet, just going by the specs vs btu's at different water temps. However, not sure how one would/could mix to bring the water temp down from a higher temp to where it would need to be for the floor? Perhaps it is right there in front of me but I don't see how mixing is possible with the exception of mixing for bringing down the DHW temp before it heads out the fixtures. 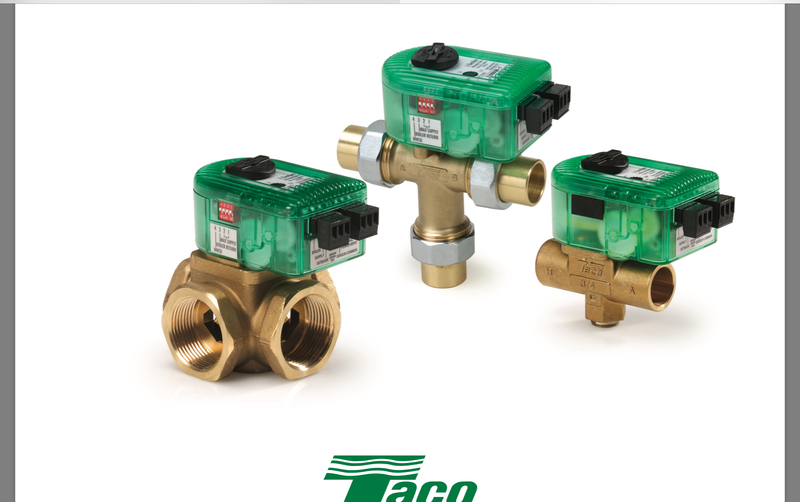 Taco I series mixing valves. You would have it located after the panel rad zones. It would then mix down for the radiant zones. You would spec that for your radiant panel zones. For the panel build from HTP, I’m not sure they would design that in. Seems it’s a pretty straight forward selection of options. 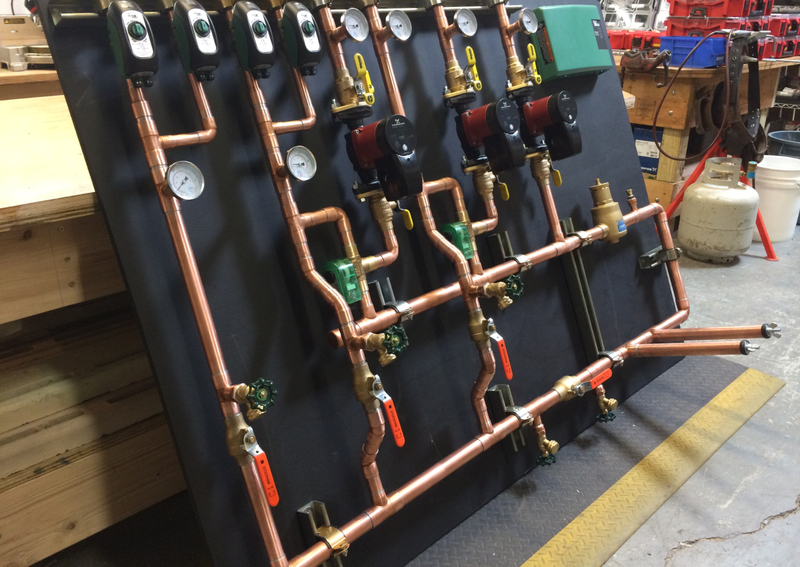 Here is a text book example of a panel build by @Steve Minnich it shows the use of the taco i valves, and an example of different temperature zone requirements, and using taco zone valves for the zoning. No thanks needed, your work speaks for itself! But you are very welcome! Thank you! That clears things up a good bit.